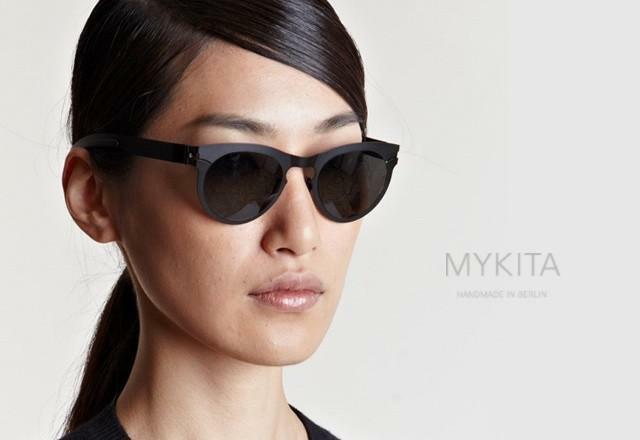 When you wear sunglasses, you are actually doing your eyes and the skin around them a favor. Ultraviolet eye protection matters, and UV radiation from the sun can damage the skin around the eyelid, cornea, lens, and other parts of the eye. Excessive UV exposure can lead to the development of cataracts and macular degeneration. Now that you know what sunglasses protect you from, you should choose polarized lens that block 99 – 100 percent of UVA and UVB radiation. Sunglasses that provide less protection can leave your pupils more vulnerable to damage, this is due to dilation which can lead to increased exposure. 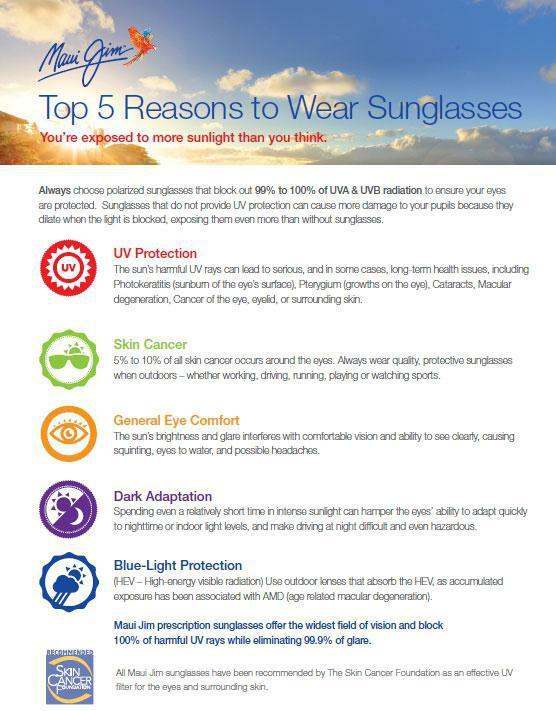 UV Protection – Sunglasses block harmful UV rays from the sun, which can lead to long-term health concerns such as Pterygium, Cataracts, Macular degeneration, eye cancer, or cancer in the surrounding skin. Skin Cancer Protection – There is a large percentage of skin cancer that can occur around the eyes. Wearing protective sunglasses outdoors can minimize these chances. Improved Eye Comfort – The bright light and rays of the sun can affect vision and cause watery eyes or headaches. Dark Adaptation – Being exposed to intense sunlight can affect the ability of the eyes to adjust to night or daytime light levels. This can make activities such as driving or working more difficult and risky. Blue-Lift Protection – HEV or High-energy visible radiation can be absorbed with high quality outdoor lenses. Frequent exposure to HEV can increase risks such as AMD or age-related macular degeneration. For the best protection, Maui Jim prescription sunglasses offer the best field of vison, minimizes 99 percent of glare, and provides defense against 100 percent of harmful UV rays. It is recommended by the Skin Cancer Foundation as a high quality UV filter offering protection for the eyes and surrounding skin.